This Canadian-born beauty is one of the best known names in the fashion world – her ethereal looks and badass attitude make for a haute couture explosion. Who am I talking about? 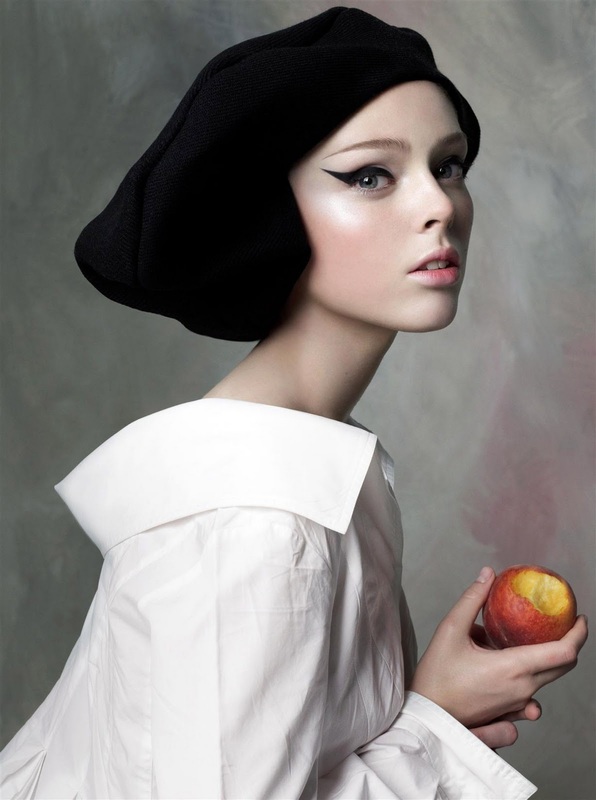 Coco Rocha, who else? And since I know a lot of you are weary from looking at page after page of study notes and lecture slides, here is some eye candy from one of my favourite photo shoots of Coco (shot by Greg Kadel). Is that modelling or is that just poetry of the body? This girl is not afraid to take risks, but she knows how to strike a pose! Madonna would be proud. Are you wondering what ‘graphic eyeliner’ means? In the simplest of terms, it means eyeliner that looks like it’s been drawn on with a Sharpie. But many beauty-lovers would also interpret it as eyeliner art – going further than your usual routine to create interesting shapes with eyeliner! It requires some experimentation to get the perfect style to suit your face, but once you get it right it makes a bold statement and keeps attention on your eyes! Since exam time is almost upon me, I won’t be rocking the graphic eyeliner in public anytime soon, but hopefully this post inspires you to give it a try!